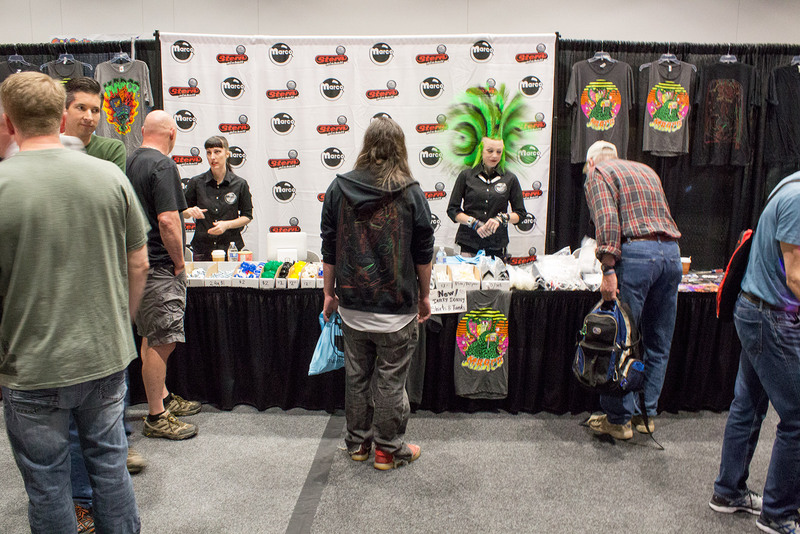 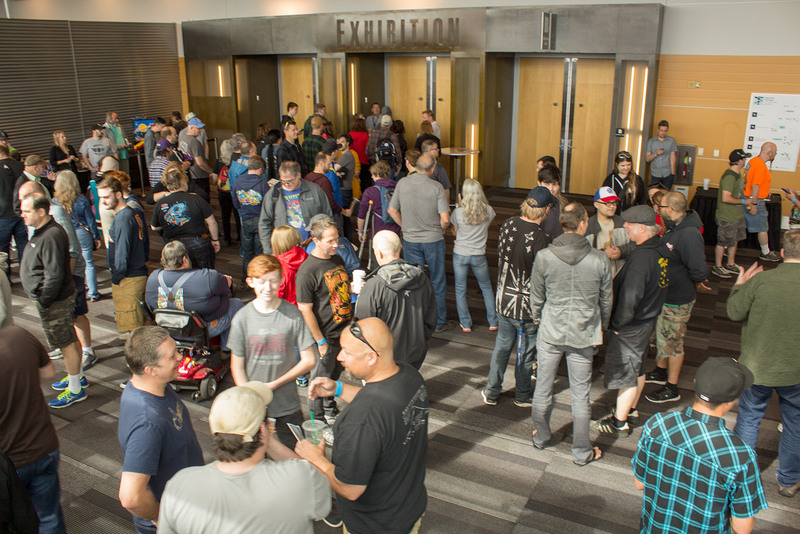 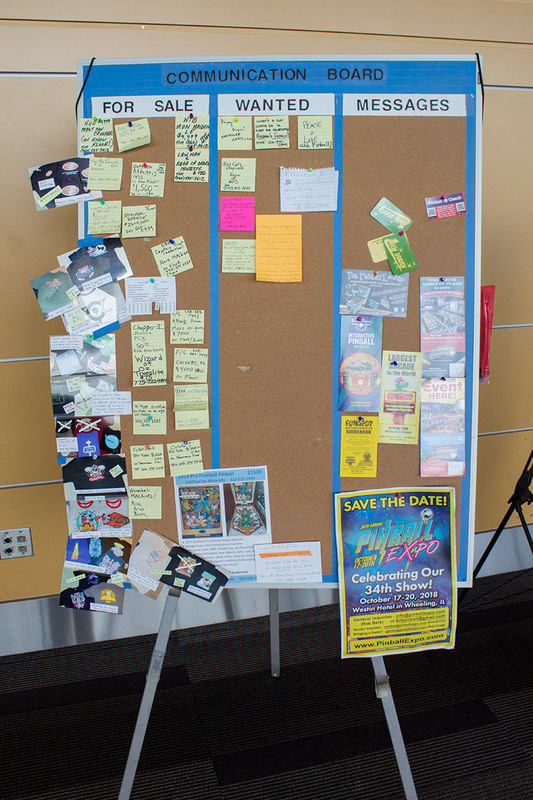 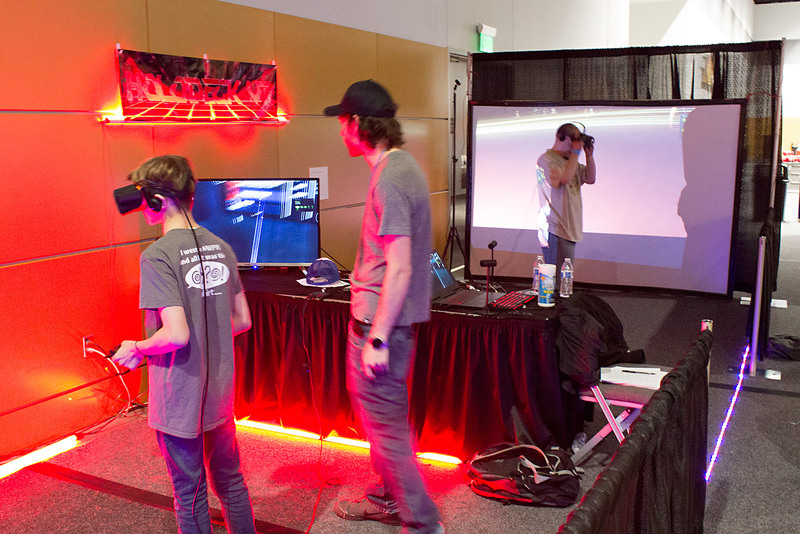 Saturday at the Greater Tacoma Convention & Trade Centre has always been the busiest of the three show days, and the crowd outside the main hall at opening time certainly suggested this year would be no different. 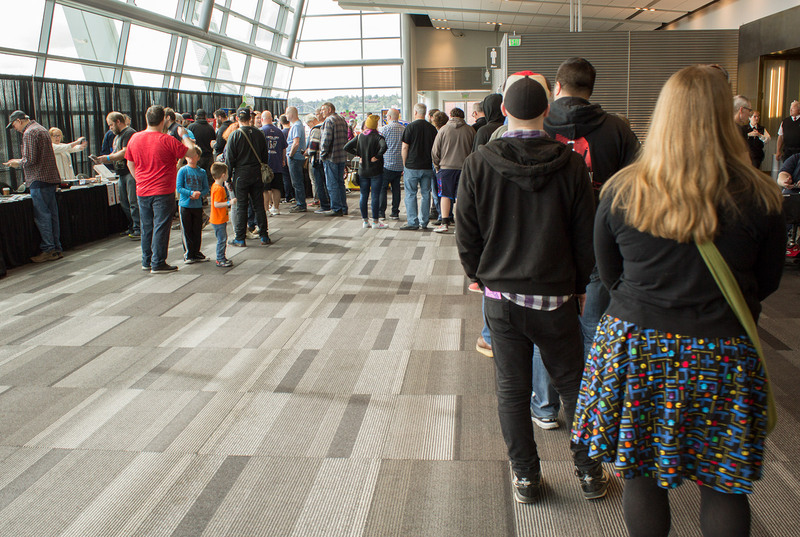 Awaiting the opening of the doors The doors were actually opened early to help clear the area, but queues for the registration desk soon built. 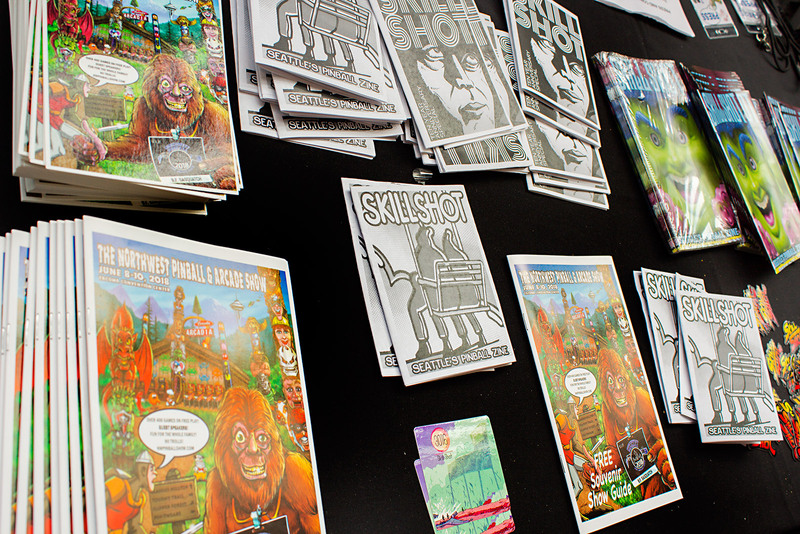 The queue for show registration Show guides, Skill Shot zines, postcards and stickers at the registration desk There was a new stand in the lobby on Saturday, replacing the Comics4Kids table. 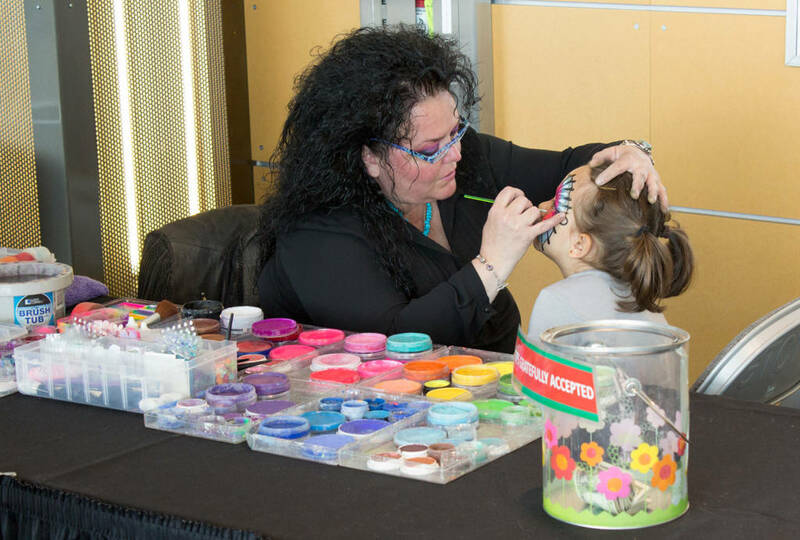 Face painting was available for the kids on Saturday Benny’s Spaceship Adventure in Lego by Renegade Bricks The noticeboard was filling up with games and parts wanted or for sale Inside the hall, the Seattle Pinball Museum stand was hosting the four Jersey Jack Pinball machines; The Wizard of Oz, The Hobbit, Dialed In! 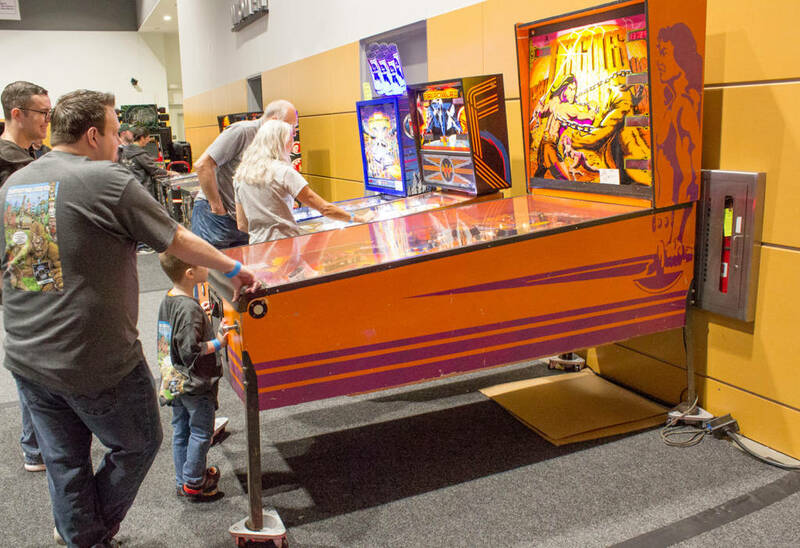 and Pirates of the Caribbean. 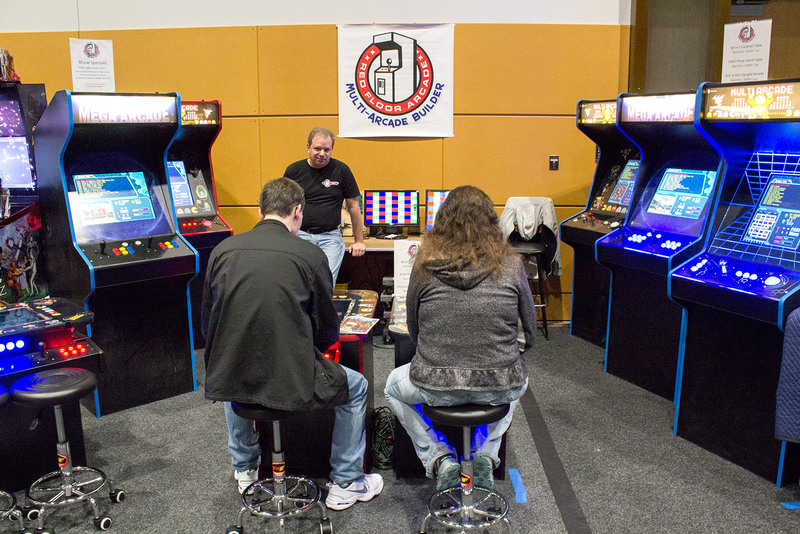 Jersey Jack Pinball games on the Seattle Pinball Museum stand Red Floor Arcade had their Multi-Arcade Builder games for sale At the back of the hall, the Holodeck VR zone was getting busy Hercules was in constant demand too There was a display of cocktail video games in the central area, but they weren’t drawing a crowd early on Saturday No such problem with the pinballs though DMD pinballs were very popular More modern pinballs getting constant use With so many games and so much play, the game medics were kept busy. 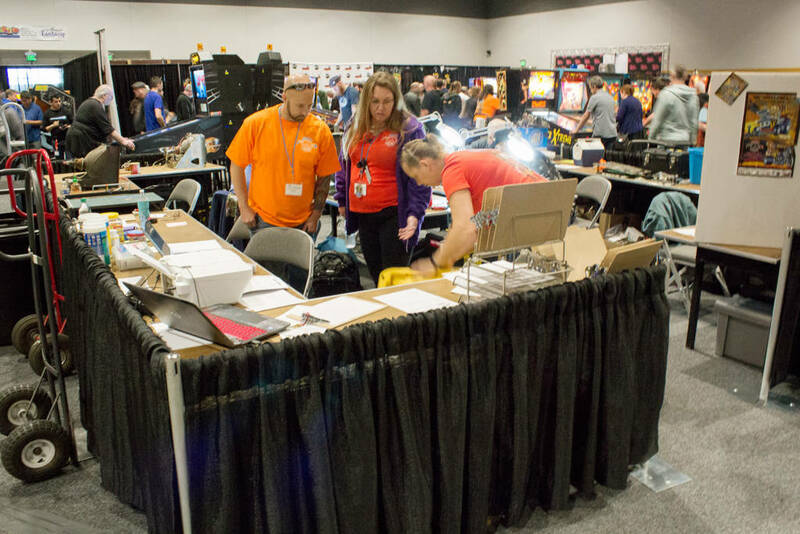 The central repair zone Things were also busy at the Marco Specialties parts stand Flyers for the latest Stern games and a selection of pinball consumables The first of the day’s seminars begins at 12:30pm and we will be back shortly to report on that. 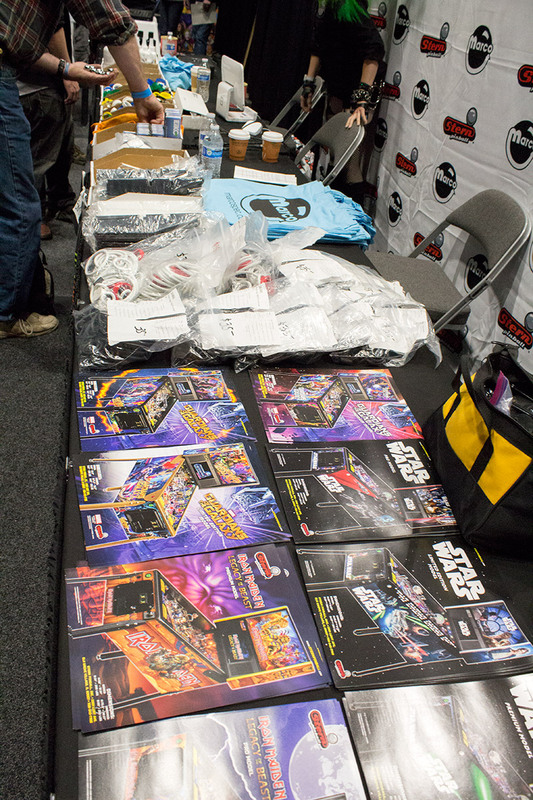 Also, don’t forget you can watch the seminars live at the show website thanks to GeekGamer.TV. 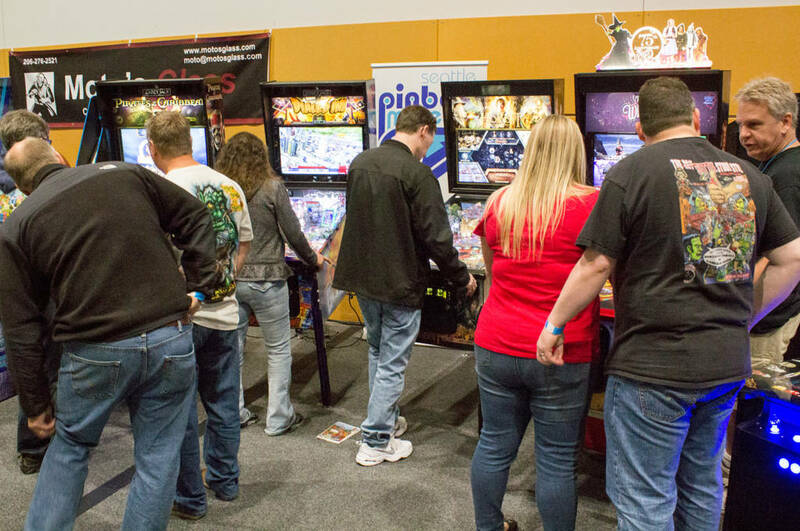 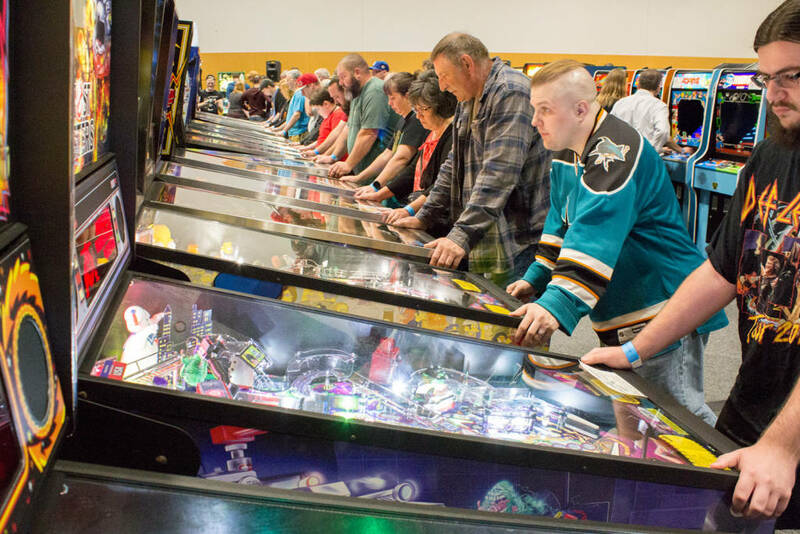 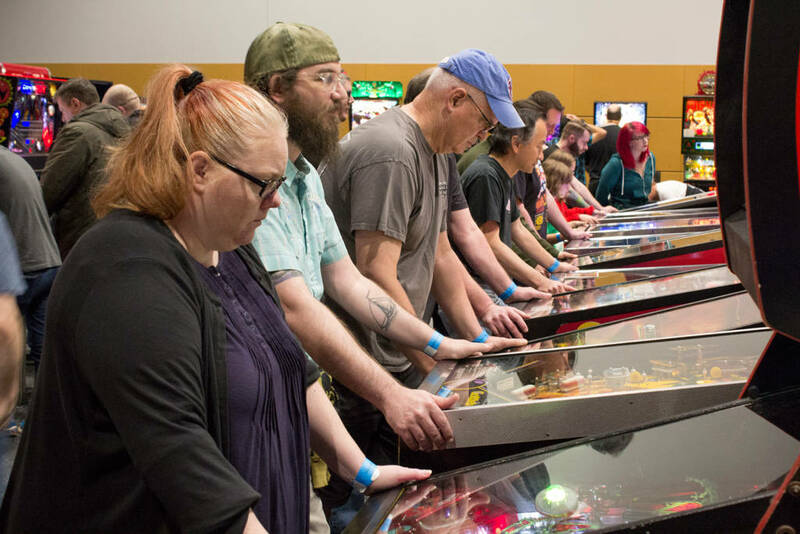 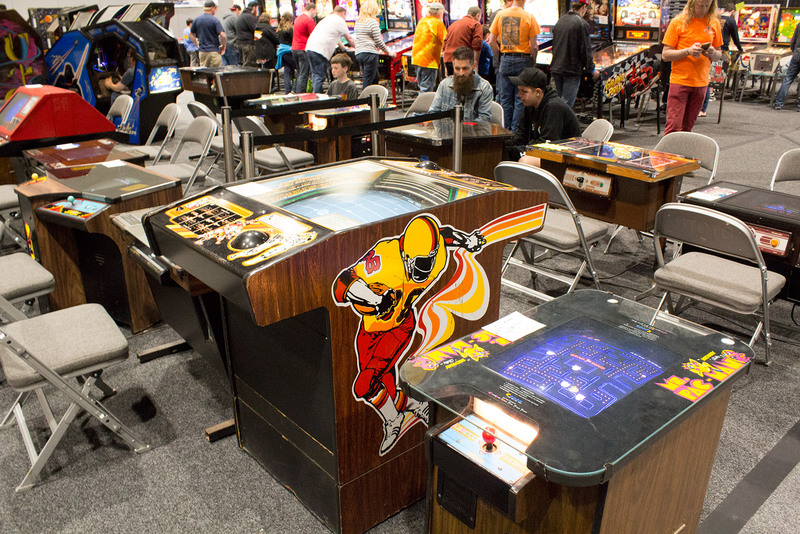 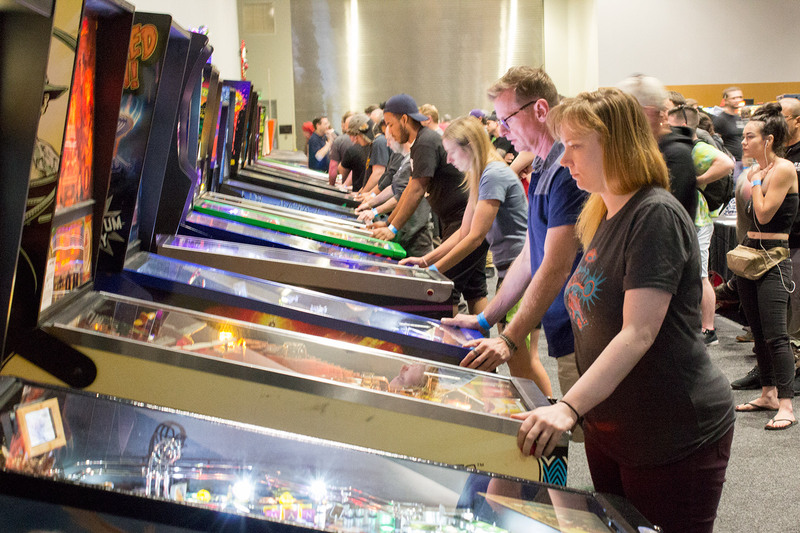 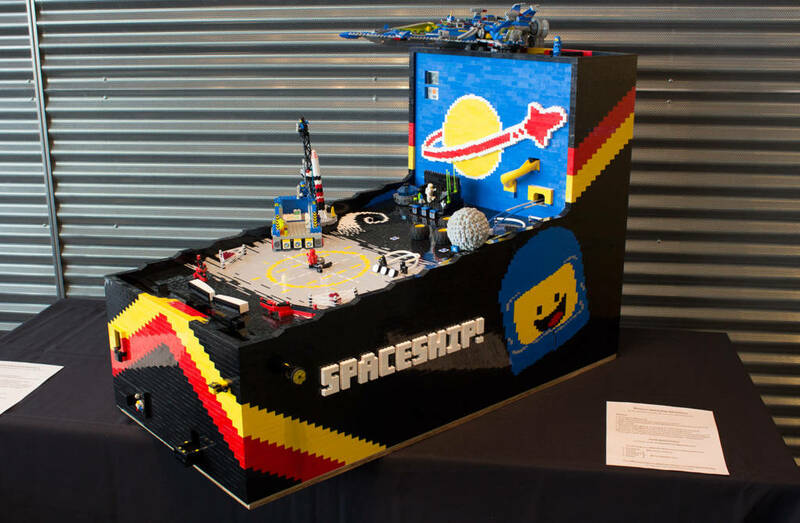 We’ll be back with regular updates throughout the second day of the Northwest Pinball & Arcade Show, plus you can check out our reports from Thursday and Friday at the main NWPAS page.